Debbie Lowenthal has been the Accounting Manager with Fridrich, Pinson & Associates since 2006. She has worked with the Fridrich family since 2000 in various accounting capacities including spearheading the accounting services for Fridrich & Clark Realty. She works in this capacity as an independent contractor. 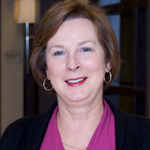 Debbie has over 30 years accounting experience in industries ranging from real estate to nonprofit organizations. She is also owner of Association Resources, Inc. an association management company specializing in nonprofit organizations. A native of Springfield Tennessee, she is married to Jay Lowenthal, a real estate broker in the Nashville area.